Hobbies come in all shapes and sizes, but one hobby that has been popular for centuries is collecting. It doesn’t matter if you’re collecting antique coins or classic toys, the principle is the same, you want as many of these items as you can get your hands on. The problem with a collectible hobby is that they often require plenty of space to store the items safely and securely. 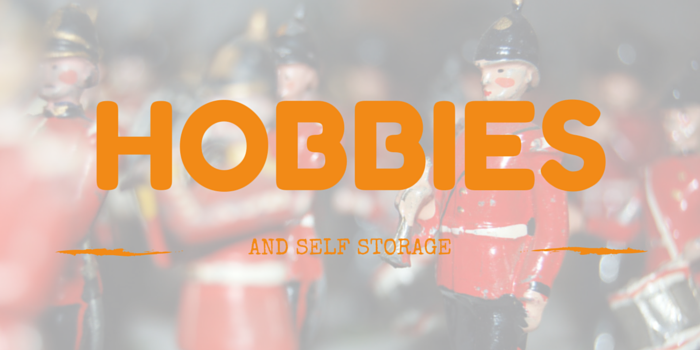 If you’re lucky enough to have a spare room in your home that can be dedicated to your collections then great, but this isn’t an option for everyone so more and more people are looking to self-storage units as a place to expand their hobby. For collectibles like classic toys, which require items to remain in pristine condition and preferably in their original packaging, this can mean you need a lot more space than your home can afford you, to make sure your collection doesn’t get damaged or start taking over your entire house. This is what makes self-storage units such an attractive prospect. You can choose a unit with the required space, or a little more, to allow for your collection to grow and pay a weekly or monthly rental cost, which usually make for an affordable storage solution. Storage units are clean, dry and secure, and allow you easy access when you want, so it’s the ideal place for housing valuable or bulky collections, whatever your preference. The added space means you have extra room to arrange and organise your collection and ensure it’s stored properly and stays in pristine condition. Depending on the size of the unit you need, you can kit it out with free-standing shelving units so you can be sure everything is kept off the ground and stored in an tidy manner as well as being easy to get to. If you do decide to use a self-storage unit to house your hobby, it’s important to make sure all items are kept off the ground and stored in the appropriate protective boxes or bags, just in case. For example, storing items like comics in individual sealed plastic bags as well as plastic boxes will make sure that they aren’t exposed to oxygen or any dampness in the air that could cause them to deteriorate.